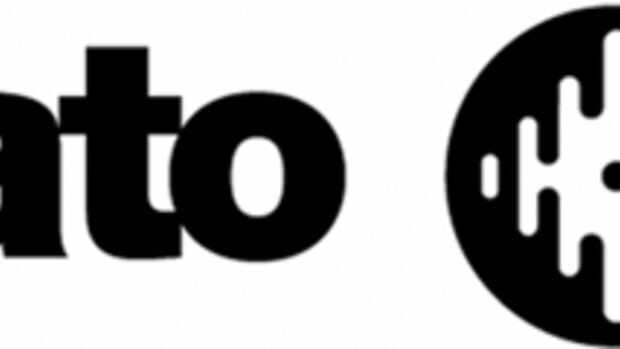 cat is out of the bag, the Rane Sixty-Four Serato DJ certified Mixer has also been announced. 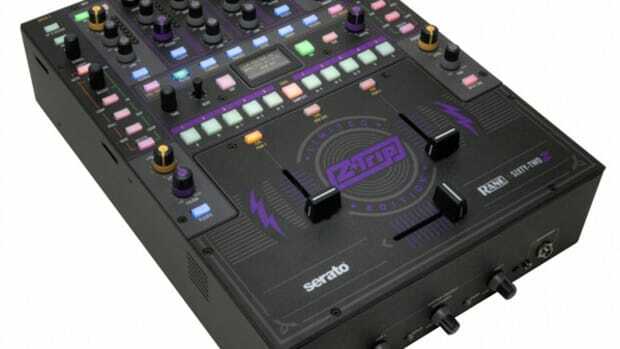 The new Rane Sixty-Four Mixer will be one of two mixers out on the market in October that will work perfectly with the new Serato DJ 1.5.0 DJ software right out of the box. 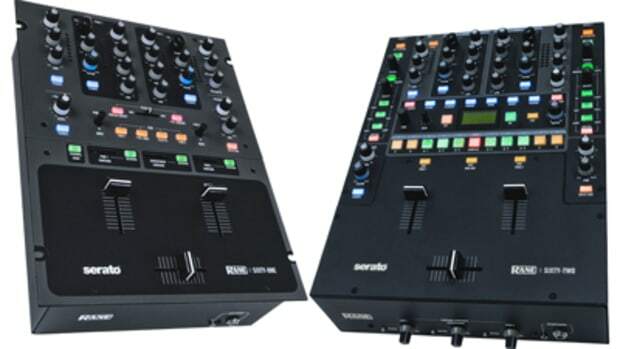 The Sixty-Four Mixer sports dual USB ports for easy DJ changes, on-board effects, Serato DJ MIDI controls, and can support up to four external Serato NoiseMap Vinyl/CD control decks at once. 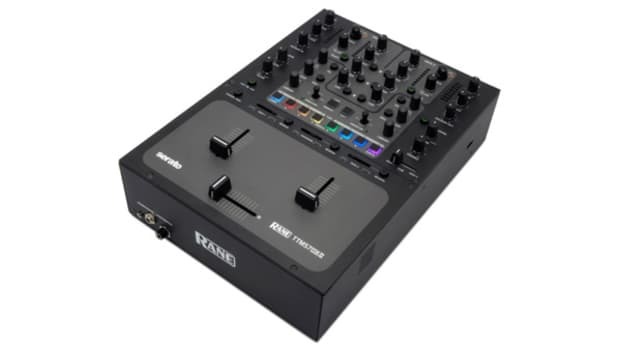 The Rane Sixty-Four is a 4-channel mixer with the expected club-size of 12-inches wide that also has an internal Serato DJ 1.5.0 DVS soundcard to connect external CDJ&apos;s and Vinyl decks to the Serato DJ software. 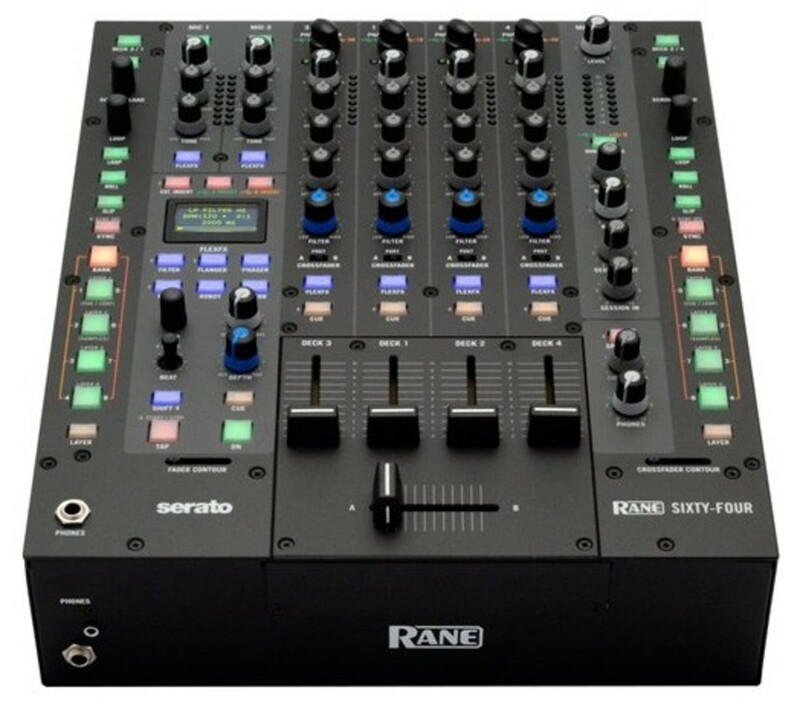 The Sixty-Four looks to have that same iconic build quality of all the previous Rane mixers and there are a host of MIDI buttons for software control. There&apos;s file navigation controls, hotcue/sample buttons, Loop controls, slip mode button, and sync button all on the face of the mixer. 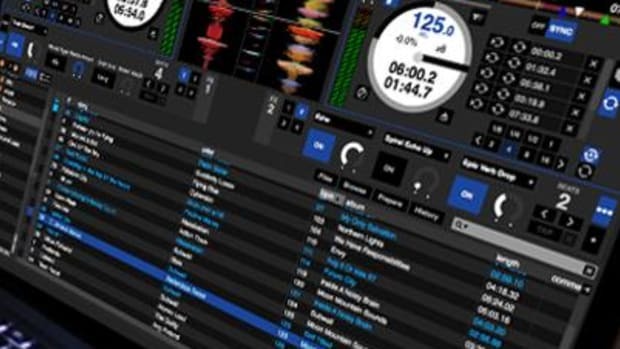 The Sixty-Four also has lots of hardware effects that will work with or without the Serato software.